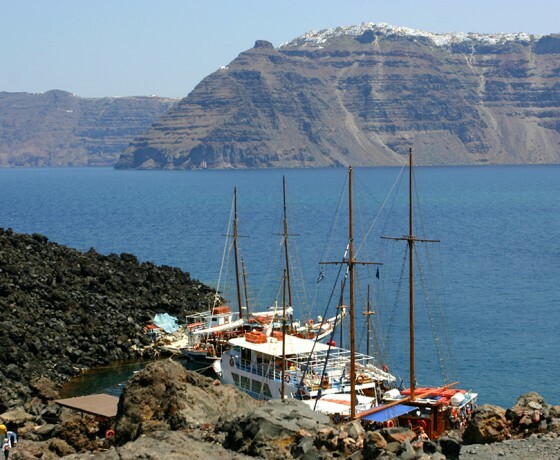 Get out of the boat to the little port of the volcano and enjoy 1.5 hours free time to climb on the top of the volcano see and take pictures of the active crater and walk on its rims. 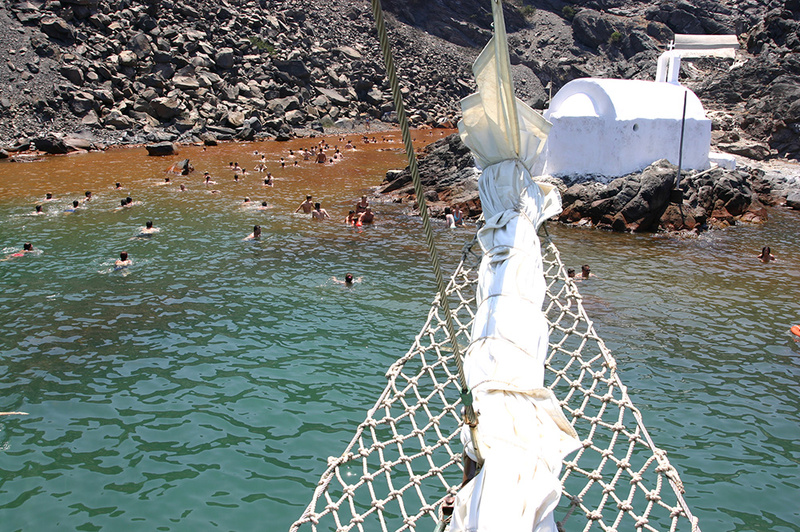 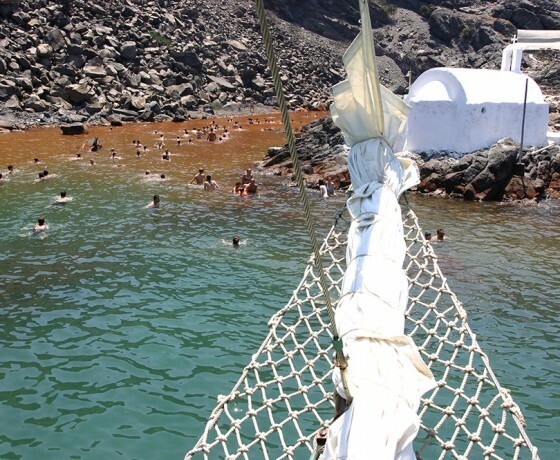 After your return back to the boat the cruise continues to Palia Kammeni Island (Old Burnt) where you can have the experience of a lifetime, swim in the hot springs created by the volcano’s underwater power. 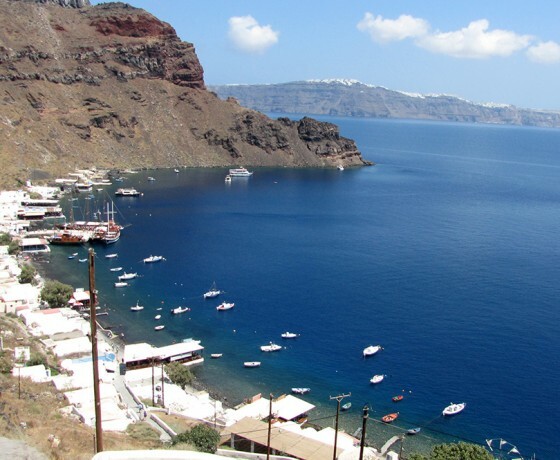 Right after the boat sails above the underwater craters to Thirassia Island, where you have 2 hours free time to eat in the picturesque small taverns near the port, swim in the crystal waters or visit the village of Manolas on the top of Thirassia’s Caldera. 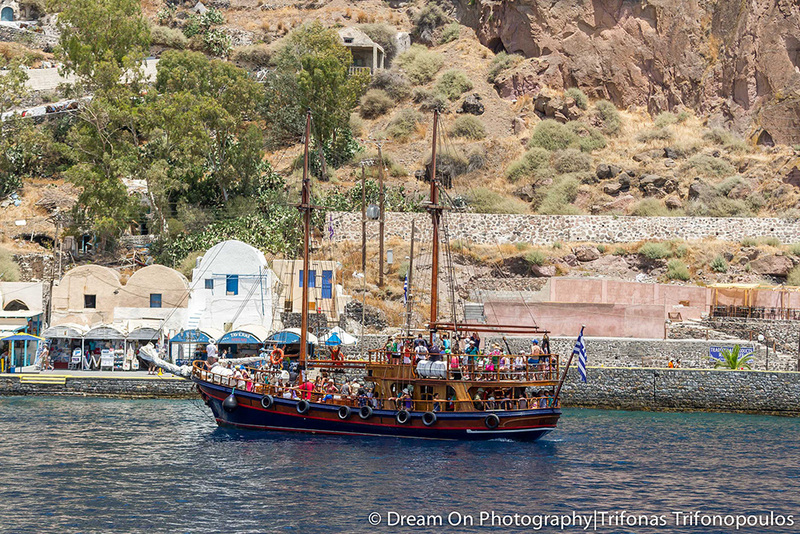 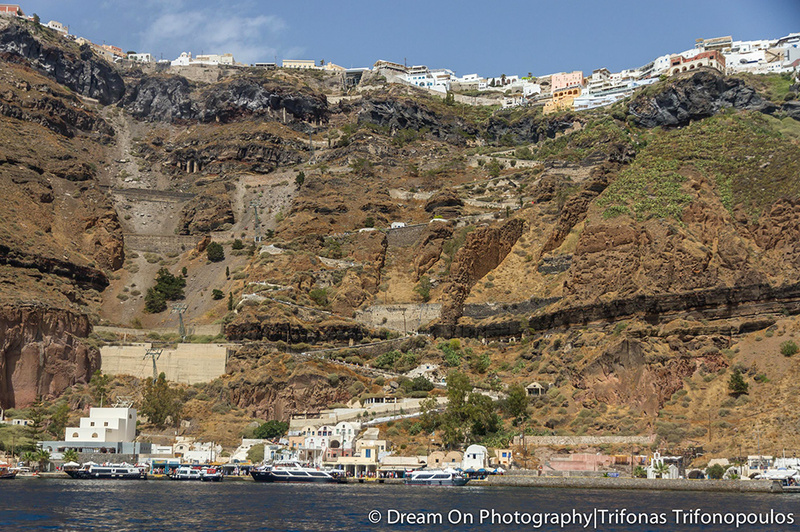 After the 2 hour pleasant break on the island of Thirassia, we start sailing near the volcanic cliffs of Oia Village to take pictures of the unique scenery. 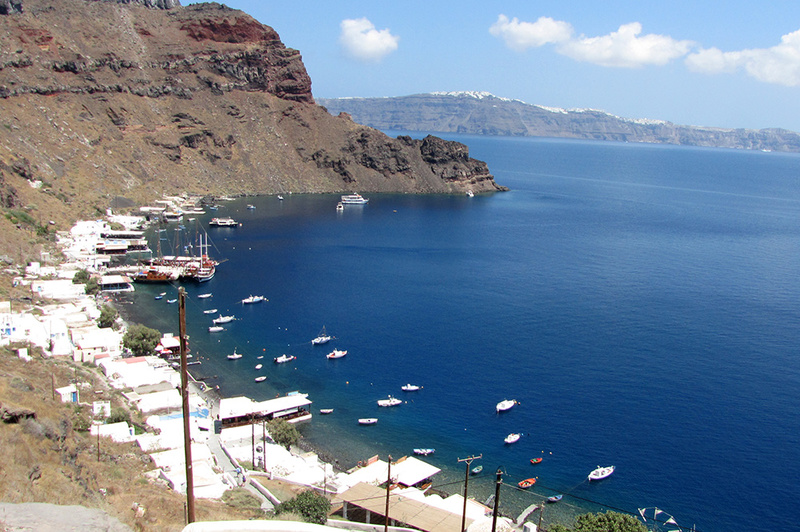 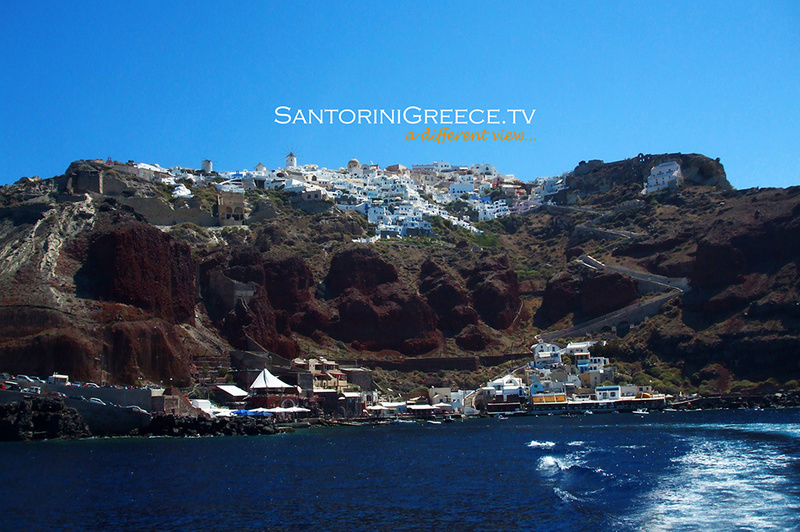 In the 1st option you can stay there and visit the village of Oia by yourself. 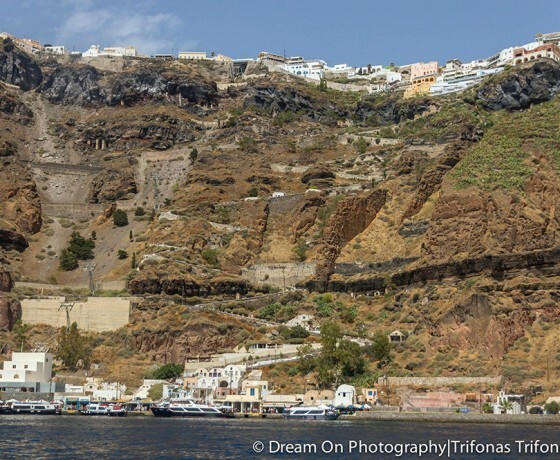 The only way to go up from the Port of Oia Village is on foot (250 steps) or by the donkeys and then after your beautiful walk you can take the local bus or a taxi to return at your hotel. 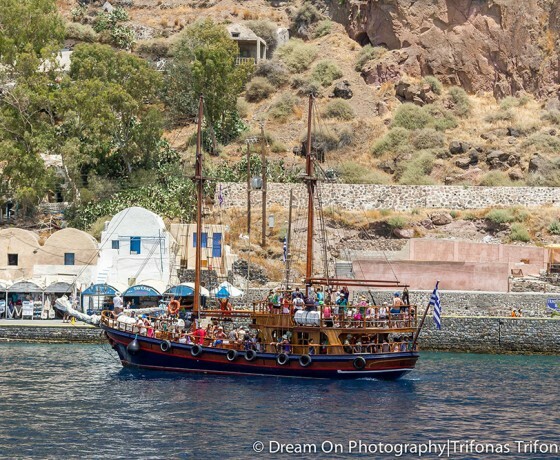 The 2nd option is to stay on board, enjoy the view of Oia and return back at the Old port of Fira where an amazing day finishes. 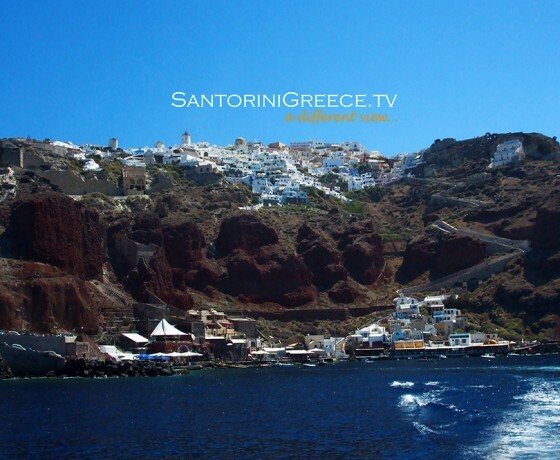 Booking info: After your reservation online or by the phone, we will send you a confirmation email including a voucher with your payment information, complete operator information, meeting location, departure time, and local operation telephone numbers at your destination. 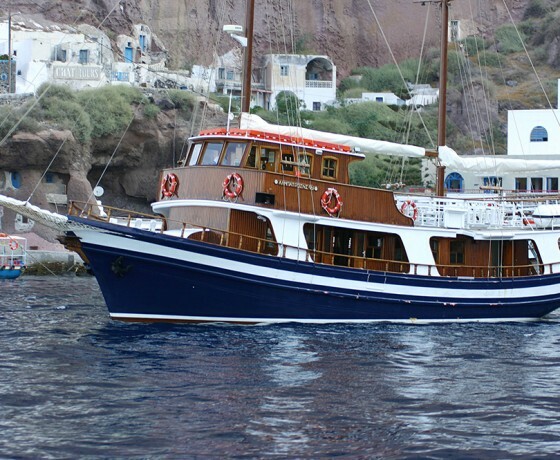 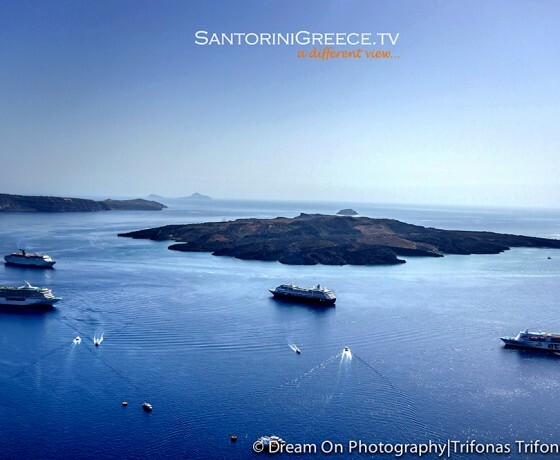 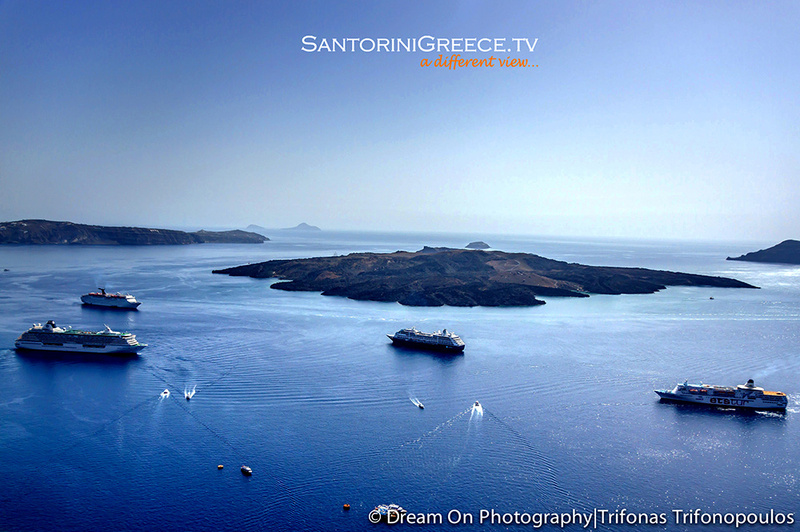 Voucher info: Upon your arrival in Santorini we will arrange to receive your boat ticket at your hotel. 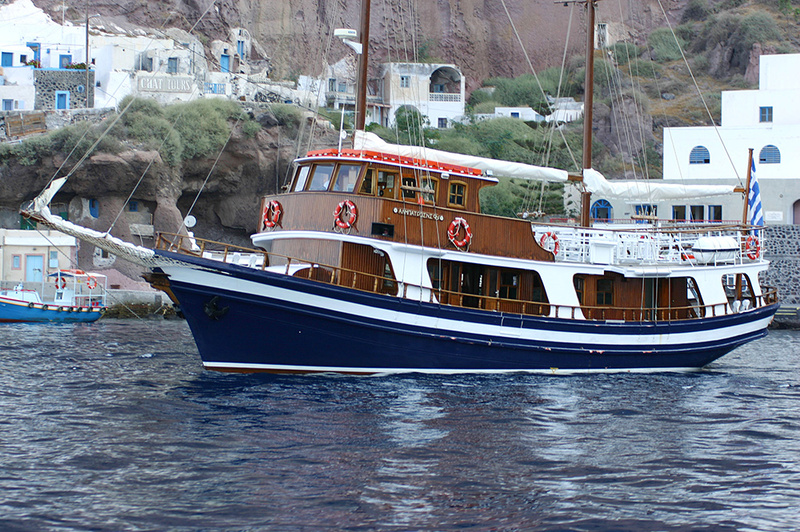 You need to present a printed copy of your electronic voucher in order to get your boat cruise ticket. 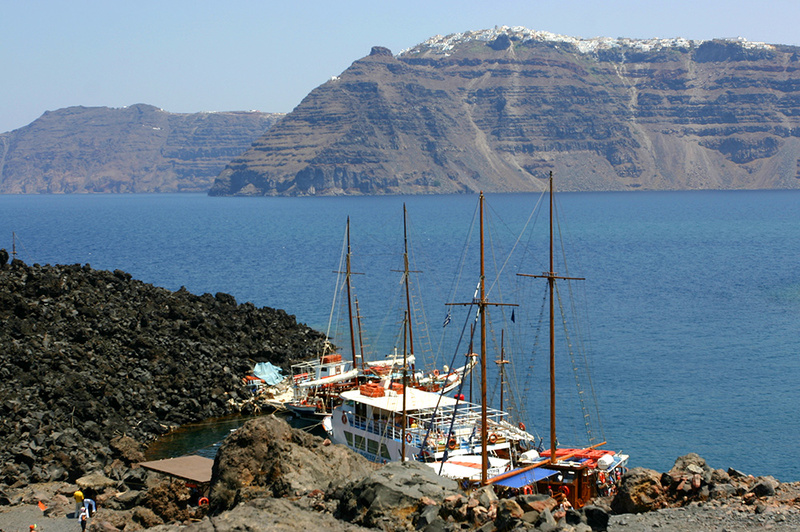 Operator information: You can find complete operator information including local telephone numbers at your destination on your confirmation voucher.